Having ticked down a couple percent last month, the weighted average asking rent for an apartment in San Francisco – including one-off rentals as well as those in larger developments – has slipped another percent and is now running around $4,150 a month, which is around 7 percent below its peak in the fourth quarter of 2015 but is 3 percent above its mark at the same time last year with the average asking rent for a one-bedroom now running around $3,575 versus $3,650 in 2015. At the same time, the weighted average asking rent for an apartment in Oakland jumped 6 percent to $2,750 over the past month and is now running around 10 percent higher versus the same time last year with the average asking rent for a one-bedroom now running around $2,350 a month (which is now 34 percent less expensive than in San Francisco versus 38 percent less expensive than San Francisco at the same time last year). That being said, the average asking rent for an apartment in Oakland remains around 9 percent below its peak in the second quarter of 2016. Our trends analysis is based on pricing data from over 3,100 comparable listings on a year-over-year basis alone. The average rents in Oakland will continue to climb as brand new inventory comes online. There are currently over 7,000 units of housing under construction in Oakland. We are still comparing older housing stock in Oakland to newer housing stock in SF. I expect prices between the two cities to be within 20% within 2 years. Hey, EG, if you can put your pom-poms down for just a sec, I’d like to compliment you for putting ideology aside and recognizing that adding only high-end supply makes lower-end housing more unaffordable. The lower end will still be affordable. The new construction will just be more expensive thereby bringing up Oakland’s average rent. New residents with higher incomes will be living in these newer units instead of bidding up prices of the older occupied housing stock. Unfortunately, unless you’re a landlord, that’s not how gentrification actually works or plays out. Interesting map. Looks like most of San Francisco and much of Oakland is already well to do. There isn’t much left to gentrify outside of parts of East Oakland and Hunters Point in SF. 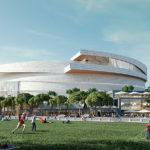 How can you really stop desirable well positioned central Bay Area locations from becoming more expensive other than building more housing to accommodate the growing population? Can you explain what you think this map shows (other than the obvious–specific areas that have gentrified/are gentrifying), and how it relates to E. Gonsalves’ point? As I read it, the fact that gentrification is accelerating in many areas where very little or no new housing has been built (e.g., San Antonio, Fruitvale, Excelsior, Outer Mission, etc.) seems to *support* his theory rather than refute it. But I realize this stuff is complicated, and I’d be interested to hear your take on it. SocketSite is saying that in fact new residents DO BID UP PRICES OF OLDER HOUSING STOCK contrary to what E. Gonsalves was saying. The map is an attempt to illustrate this point with data. Probably because the new supply isn’t enough to make that much of a difference. What if Oakland added 100,000 new apartments? 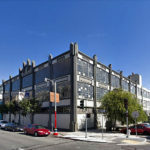 Oakland will soon have many units to offer. I’m sure some of the fire victims will find their way to the Bay Area. If by “some” you mean “at least three”, then I agree; beyond that I don’t see many, given the lower income levels and the fact that many living there had moved to be away from the BA…tho I suppose some could move in with their children. It’s an interesting question. In terms of impacting housing prices in the Bay Area I don’t see it. Apart from an indirect effect if a large number of construction workers leave to BA to go and help with the rebuild of the impacted area around Chico and construction labor becomes harder to find in the BA. As it is my Starbuck’s construction worker count is already significantly down from 2 years ago. Maybe it will fall more now. The median income in Chico is 42K. The set of jobs there being such that pay is much less and residents can’t afford to relocate to the BA (presumably staying in the same type of job). Most would probably not want to anyway. Sacramento is different. There could be an impact there. Some of the retail service workers might choose to transfer to Sacramento. Still, Chico is a different world and many who live there consider Sacto too citified. There is a large group of residents who love living in the boonies – in and around Paradise. Some will choose to stay but those who choose to leave will, IMO, use this as an opportunity to get out of California altogether. Idaho, Nevada, eastern Oregon. We shall see. Sacramento could be impacted. it is close enough that some residents may relocate there. Yes, shortage of construction workers was what I was thinking of, tho I’m unclear on how that will be handled…where will they stay to build new housing since there’s obviously a shortage of existing housing? And unlike Santa Rosa, it’s not part of a much bigger area they can just spread out over. Oh and props for your Starbucks index: together with the “Whine and Whinge Index” highlighted last week these must be two of the many new indexes I was reading about. You guys need to get out more, or at least talk to your hotel-owning counterparts at the usual landowner poker game. Most construction workers don’t sign leases and rent apartments during their employment at at job site away from home, they stay at local inexpensive motels and extended stay hotels. Hotels and motels from Sacramento to Redding are full. The vacancy rate in the rental market, which hovered around 3% before the fire, has fallen to near zero. Unable to find single-family homes in the area, evacuees have resorted to renting individual bedrooms, buying recreational vehicles and purchasing travel trailers…firefighters and recovery workers are moving into a newly built base camp at the county fairgrounds, Mansell said, part of a effort to free up hotel rooms for evacuees. Mayer said he has been told to expect a delivery of about 2,000 FEMA trailers, though precisely when they will arrive and where they will be placed is still under discussion. Once the rebuilding gets going, I expect that municipal authorities will ease any existing restrictions on trailers and RVs, and construction workers will get housed in them. In the shorter it will come down to who has room at the inn. 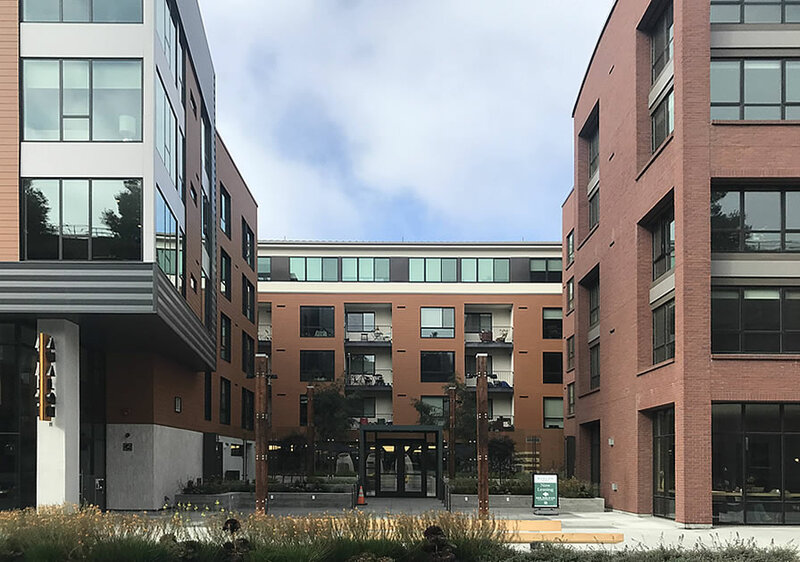 Oakland is nearing completion of a good number of housing units. I hate to say this, but unfortunately I have my doubts wether Paradise will ever be a city again. I do agree in the long term many of the residents will leave California for more affordable states.